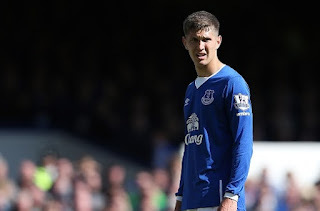 Chelsea set for John Stones move Premier League Champions Chelsea are set to make a new offer for Everton young center-back John Stones, according to SkySports. Premier League Champions Chelsea are set to make a new offer for Everton young center-back John Stones, according to SkySports. Chelsea are reportedly set to increase their offer after the rejection of the first bid. The Blues boss Jose Mourinho is confident that the new bid would be enough to secure the Englishman move. The London side's first bid which was around £20million was rejected by Everton manager Roberto Martinez. Sky Sources believe that the Spanish manager who has no plans to sell his star man would now allow him to leave the club. Stone has four years left on his current contract. Chelsea are currently at Montreal for their preseason tour while the Liverpool side are enjoying Asia Trophy in Singapore. The 21-year-old has already said that he is happy at Goodison Park. Stones started 23 Premier League games last season, the youngster is hoping to secure his permanent place at the defence line. Recently, he was being handed with the No 5 jersey. Last time No 5 was worn by Dave Watson. Stones who has made several appearances for England under 19, 20 and 21 has made four appearances for England senior side. Meanwhile, the Stamford Bridge side are also keeping tabs on Real Madrid Spanish midfielder Isco, according to Express.